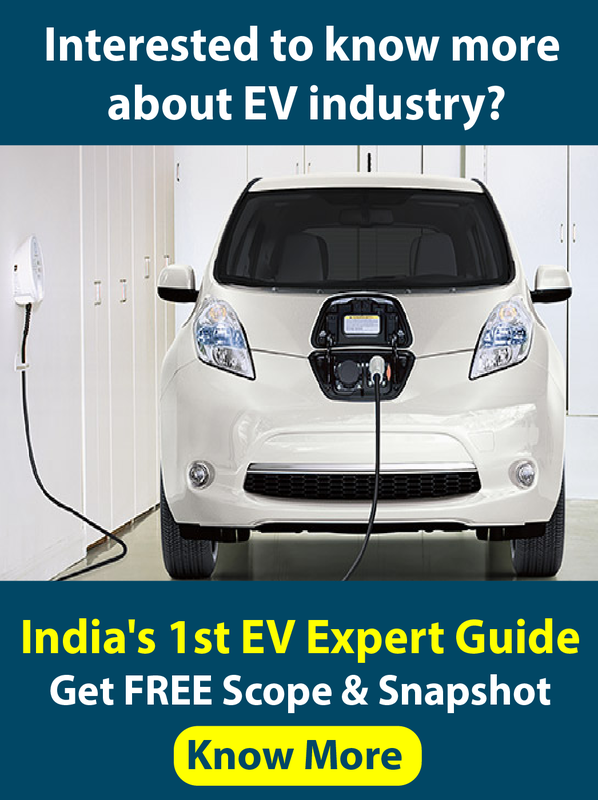 A number of Indian companies are keen on going solar for their captive power consumption. Why is this happening? The cost of solar power is decreasing all the time. As of mid-2016, cost of generation of solar power has fallen significantly, and the LCOE is in the range of Rs 5-5.5/kWh. This levelised cost of Rs 5.5/kWh is for solar power plants without trackers and without taking into account financial incentives such as accelerated depreciation. If some of these incentives are considered and if trackers are introduced into the picture, the cost of solar power is below Rs 5/kWh. At this cost, it can be said that solar power has reached grid parity – that is, the cost of solar power is the same as or lower than that of grid power in many parts of the country for industrial and commercial consumers. For many of these segments, grid power now costs upwards of Rs 7/kWh, and expected to increase even further. This makes it attractive for companies that are large consumers of electricity to explore captive solar power plant options. If your company consumes about 1 lac units or more of electricity every month, and paying Rs.7/kWh or more, a captive solar power plant could be a good option for you to save costs and secure your electricity price for 25 years. All these make it really difficult for non-experts to design and implement the Captive solar power plant in the most optimal manner. Here’s why. A captive solar power plant refers to a solar power plant that has been implemented by a company for its own captive consumption. That is, the power generated by the solar power plant is consumed entirely by the developing company itself. Now, you might easily recognise one type of captive solar power plant, and that is the rooftop solar power plant. Most times, the power generated from a rooftop solar power plant is consumed by the owner of the rooftop, whether it is a residence or an industrial or commercial consumer. So, are all captive solar power plants just rooftop solar power plants? Now, there is also a misconception that all captive solar power plants are of the rooftop variety. This is not correct. You can actually install a solar power plant outside your premises, and sometimes even a few hundred kilometers away from your premises, and still consume all the power generated from your power plant for captive use. Captive Solar Power Plants can comprise both rooftop solar power plants on your premises and offsite, ground mounted solar power plants. 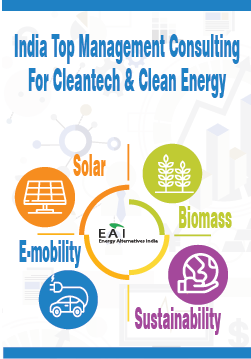 While rooftop solar power plants to some extent enable these companies to offset some of their electricity consumption, in most cases rooftop solar can contribute only to 25% or less of the total power required by the company. If such companies wish to have most or all of their power consumed to come from solar, they either need to procure the extra solar power from someone who is generating it outside their company, or install a power plant themselves outside their company premises, in a location where they can find enough land to set up a solar power plant of the capacity that their power consumption requires. 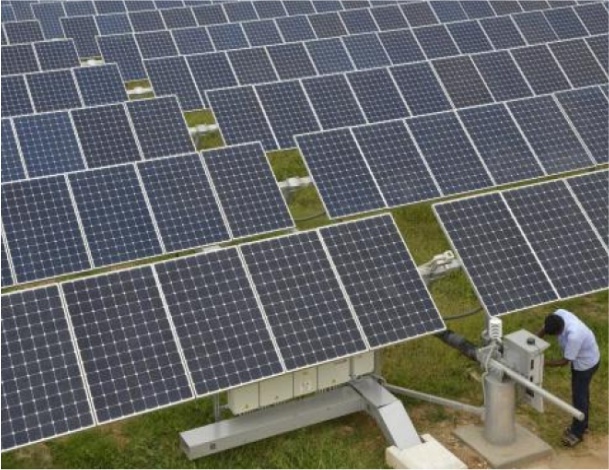 As a result, as part of their captive solar strategy, a number of Indian companies are also going for offsite, ground mounted solar power plants, in addition to rooftop solar power plants. Overall, at Solar Mango we expect 2016 to be an important year for captive solar power plants in India – in this year, we expect captive solar power installations in the country to reach an inflection point in their growth. We expect annual captive solar power plant installations in the country to double or even treble its size in 2016. The coming years could see much higher growth rates for this sector as the government starts recognizing the importance of this segment and starts providing a more conducive environment for its growth. Solar Mango, the #1 Solar Guide, has put together an offering for these companies going for captive solar power plants that can contribute to a large percentage of their electricity consumption. The earlier sections showed how companies that wish to benefit significantly from captive solar power need to get their on-premises and offsite solar power plant strategies right. 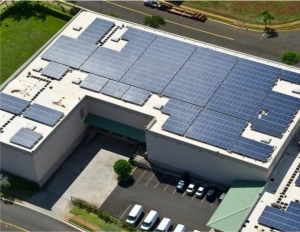 Both rooftop/on-premises solar and offsite/ground-mounted solar power plants present their own set of challenges – challenges spanning multiple dimensions such as infrastructure, technology, architecture, economics and regulations. In order to get an optimal strategy and design that ensures that your company has the most optimal design for your captive solar power generation, you need more than just an EPC. You need a package that is able to provide you with an effective architecture and design, and which also handholds you in your implementation for both your rooftop and ground mounted power plants in all aspects, including land, evacuation and approvals. 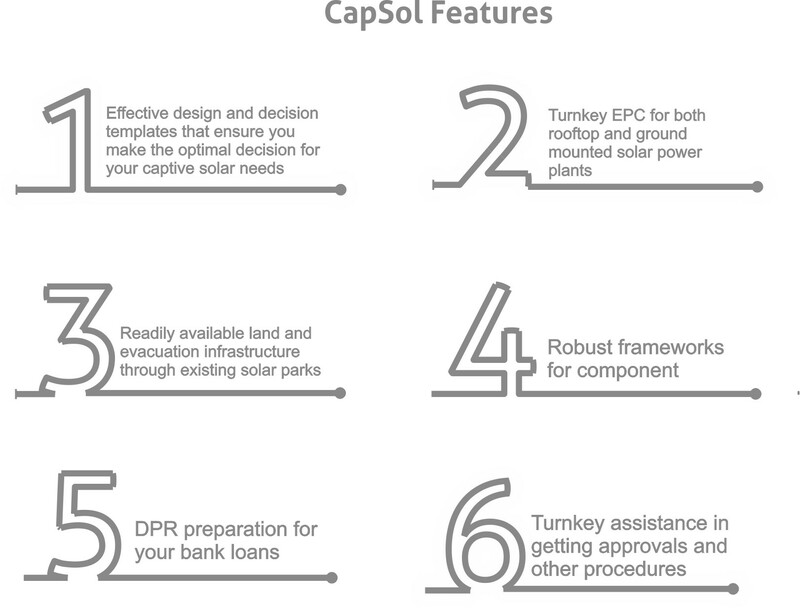 Enter CapSol from Solar Mango, the turnkey assistance package for your captive solar power plant requirements. Interested in Taking Solar Mango’s CapSol Assistance for your Captive Solar Power Plant?